Breakfast is a delicious time of day and a great opportunity to pack in nutrients that can boost brain health, increase energy and set your whole day off on the right track. *Simply microwave half a banana for 30-40 seconds. 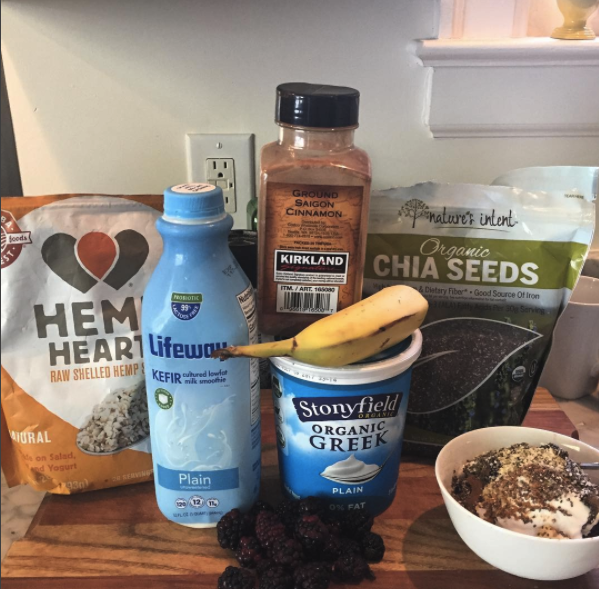 Scoop the yogurt into a bowl (a bigger scoop if you’re hungry), add kefir, mix in the melted banana, pile on the berries, sprinkle the hemp, chia, and cinnamon on top and dive in! You can play around with different ingredients in breakfast bowls too. Sometimes I add canned pumpkin, a touch of molasses, and/or oatmeal. Just mix up your favorite ingredients and you’ve got a golden superstar meal! 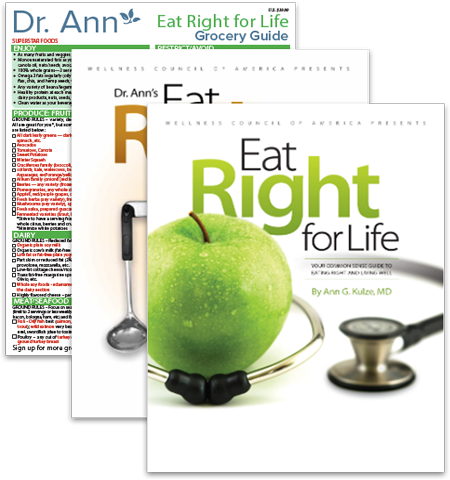 For more expert wellness advice, order the Eat Right for Life and Cookbook Companion combo and we’ll include a free Dr. Ann grocery guide ($10 value). It’s a great deal!